Should United Have Kicked This 15-Year-Old Autistic Girl Off A Flight? A family traveling with a high-functioning autistic daughter were kicked off a United Airlines flight from Orlando to Portland because the pilot “didn’t feel comfortable” flying with her on the plane, even though no major incident had taken place. The pilot made an emergency landing and had the family removed. Was this the right call? Beegle asked to order and pay for the hot food available to first class passengers, and was initially refused, and then refused again when Beegle pressed the matter. Because, you know, that first class food isn’t just for anyone. Beegle was unable to transport hot snacks or food in her carry-on baggage because, come on, have you tried to keep food hot in a bag on a cross-country flight? Some passengers report at this time Juliette began “howling,” though other passengers stated it wasn’t any worse than a crying baby. Soon after that exchange, some hot food from the coveted first class larder was provided, and while Beegle offered to pay, her offer was not acknowledged. After Juliette received the hot meal, she calmed down, and that seemed to be the end of it. Well, until the pilot announced an emergency stop in Salt Lake City. After working to accommodate Dr. Beegle and her daughter during the flight, the crew made the best decision for the safety and comfort of all of our customers and elected to divert to Salt Lake City after the situation became disruptive. We rebooked the customers on a different carrier and the flight continued to Portland. 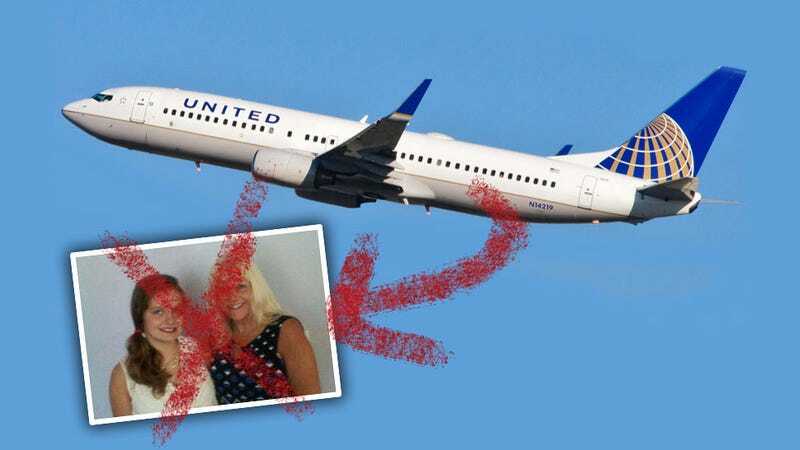 The Beegles have threatened a lawsuit against United Air Lines accusing the company of discriminating against their daughter because of her autism. It’s a tricky situation, the more you think about it. I’m personally more on the side of the family and think the airline overreacted, especially since there was really no actual incident apart from some noise and “howling” that eventually ended without trouble. Plus, the 15 year old girl was in a middle seat between her mother and father — what airplane-threatening harm would really have happend? ... which makes me wonder if this woman may be confusing autism with whatever gamma-ray issues the Hulk has. Still, you have to see this from the pilot’s and airline’s point of view as well — they’re responsible for many, many lives, and any potential threat needs to be taken seriously. It’s not hard to understand that the pilot may have just made the most prudent decision they thought the situation demanded. It’s tricky on both sides, and I think a discussion is probably worthwhile. So let’s get one going here, and see what we learn, why not?